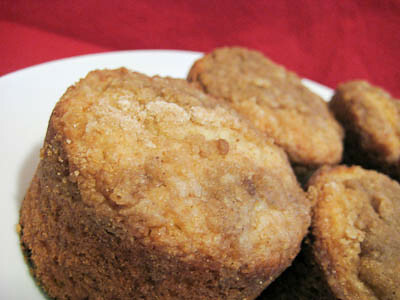 This week's Tuesdays with Dorie (TWD) recipe was chosen by Kayte of Grandma’s Kitchen Table: Allspice Crumb Muffins. I love anything with a crumb or streusel topping, so I knew right off the bat that I would like these. What I did not anticipate was exactly how much I would love these! They seem pretty plain if you're just reading the recipe. 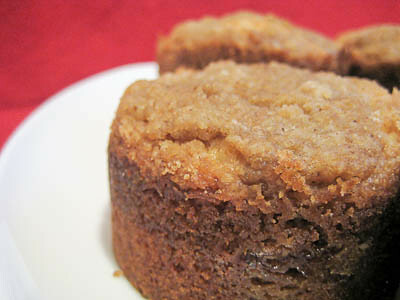 A simple muffin with a crumb topping flavored with some allspice. I actually don't bake with allspice very often, at least not as the star ingredient, so I'm not too familiar with its flavor. Because I rarely bake with it, I didn't have any on hand, so I substituted 1/2 teaspoon cloves, 1/4 teaspoon cinnamon, and 1/4 teaspoon nutmeg based on the recommendations here. Like most muffin recipes, this one comes together in just a few minutes and does not require a mixer. I followed Dorie's recipe to a "T," including how to make the crumb topping. I have to say that I was not a fan of this method, because it was hard to get nice big crumbs from it. Next time I will just cut the butter in using a pastry cutter to get nicer crumbs. I baked my muffins in this pan so I didn't get nice muffin tops, but they still tasted great. I thought for a moment about just using cinnamon in place of the allspice, but I am so glad I didn't - I am sure that cinnamon muffins would be good too but I really enjoyed the allspice flavor. These kind of remind me of the coffee cake you can get at Starbucks, except much better. Thanks Kayte for picking this recipe, I loved it. If you would like the recipe, you can find it here. 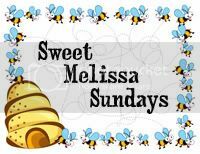 Make sure you check out the TWD Blogroll, to see how everyone else enjoyed this perfect breakfast treat. - I would recommend cutting the butter into the crumb topping with either a pastry blender or two knives instead of doing it by hand. - Don't have any allspice? Here is a link to the substitution, as well as many other common substitutions that will come in handy when you are baking. I love the way your muffins look coming from that pan. Very sleek and not messy. I did go with a pastry blender. Still, my streusel was a bit wonky. Ah well. Yours look lovely! OH! I love the shape you gave yours... I've been looking every where for a straigt side dariole mold!!! Beautiful! Gorgeous muffins. I heart that pan. all spice doesn't thrill me for some reason. i think it's because the cinnamon is not front and center. that's okay though, i'd still love these muffins--they're lovely! I love the flavor of all spice, so this will be our Saturday morning treat this weekend!!! Yum, those sound good. Love all those warm spices. I've got that pan, 2 actually...I need to use it/them more often! These look great Jamie. Thanks for the butter tip. I've been reading about these all morning and will make sure to keep your tip in mind when I decide to make them. I really enjoyed these too and yours look wonderful! I have to agree with you - Dorie's method for making the crumb topping didn't work for me either. Definitely plain but oh so delicious! Great job on your muffins! Smell like thanksgiving, yum ... yumm! So happy you loved these! I love the color you got on yours...I thought mine were too pale but was afraid to leave them in any longer. The color on yours is perfect! Thanks for baking with me this week...your muffins look wonderful. Yes, I agree, the allspice was nice. Funny how you don't see more recipes showcasing this spice. Anyway, your muffins look delish and nice and spicy on top. I'm a cinnamon gal, but I'm so glad that I stuck with the allspice. I love the shape of your muffins..they look fantastic! I had a tough time with the topping, too. Glad I wasnt' the only one. Your muffins look really good, though. I like the way your muffins look. I can't believe you don't have any comments on this wonderful post of TWD muffins! I love them. I was bummed Idid not get to participate last week. I did make the Pumpkin Cookies and today I will bake the TWD biscuits!